Winter is on its way, which means that the temperatures are going to start dropping fast. While concrete is an incredibly strong material that can tolerate a lot of abuse, it isn’t impervious to the cold and the effects of winter. 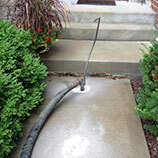 At B&B Concrete Lifting in Chicago, we understand how and why the winter can cause damage to your concrete. 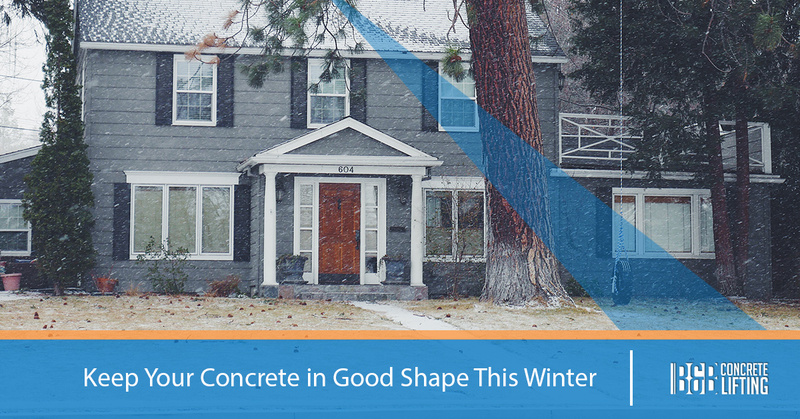 In this blog entry, we will discuss a few easy ways to limit the deterioration of your concrete slabs during the winter months. 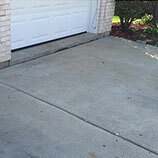 If you have concrete that needs to be repaired, contact us as soon as possible. Our innovative methods and years of experience will allow us to quickly and affordably fix your concrete without having to repour. The process we use is fast and much less of an intrusion on your property than having a company come to repour your slabs. We start by drilling a hole through your slab, feeding a hose through, and pumping a special mixture of material down beneath the slab. This mixture will gently lift the slab back to its original location. The material has been designed to resist erosion and compaction, which means that you won’t have to worry about more repairs in the future. Shoveling snow is not an activity that any of us look forward to. Whether we have to get up early to do it or stay up late to ensure we can get out of the driveway, shoveling is a time-consuming and strenuous activity. Thanks to it being zero fun, many of us try everything we can to get it over with as quickly as possible. One of the most common methods of dealing with unwanted snow is to find a spot on or next to your driveway or sidewalk and pile as much of the snow in that section as possible. While we understand trying to consolidate the snow, this can have a negative effect on your concrete. If you are piling snow on an unused section of a driveway or sidewalk, the cycle of freezing and unfreezing that occurs can lead to damage caused by frost wedging. Hydraulic fracturing is when water, in this case melted snow, finds its way into cracks of all sizes. While water flowing through your concrete is bad enough, when the temperatures drop again, the water expands as it turns to ice, which then creates larger cracks. Over time, this damage can become severe enough to warrant concrete repairs and maybe even full replacement. The results aren’t much better if you decide to stack snow next to the driveway on your lawn. In addition to causing damage to your grass and any other plants you have there, when the snow melts, it could run directly underneath your concrete slabs and erode any loose soil. Given enough time, erosion will lead to empty spaces underneath your driveway. Concrete will tilt towards empty spaces and eventually crack. If you don’t repair it as soon as possible, the slab may reach a point where it cannot be fixed. Salt, or any other product that helps melt ice or prevent it from forming in the first place, can also be tough on your concrete. If you use regular salt (sodium chloride), you risk creating larger frost wedges as well as mineral fractures. Mineral fractures are a type of mechanical weathering caused when dissolved solids in water are separated from the water and then expand as they dry. Salt allows water to freeze and unfreeze again and again, which can increase the number of frost wedges your driveway experiences. If you can find another de-icer that isn’t made from sodium chloride, you can extend the life of your concrete surfaces. There are many options on the market, so make sure to check the label before you purchase. Limit the amount of de-icer that you use. While it might be tempting to coat your concrete in de-icer, the truth is that you don’t need a lot of a good de-icer. It will stay put and has an area of effect much larger than each individual crystal. No matter how well you take care of your driveway or sidewalks during the winter, at some point you may start to notice cracks forming. 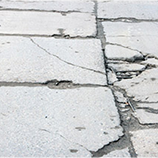 While cracks in your expansion joints are normal (this is what those joints are for), if you notice other cracks that run through the middles or corners of your slabs, it might mean that you need to call the concrete repair experts at B&B Concrete Lifting. 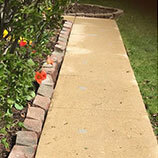 Unless the slabs were damaged by excessive weight or something falling onto them, crack are a sign that the soil underneath your concrete has either compacted or eroded away to a point that the leaning slabs are starting to buckle. If you schedule a consultation with us right away, we will do everything possible to save the slab. 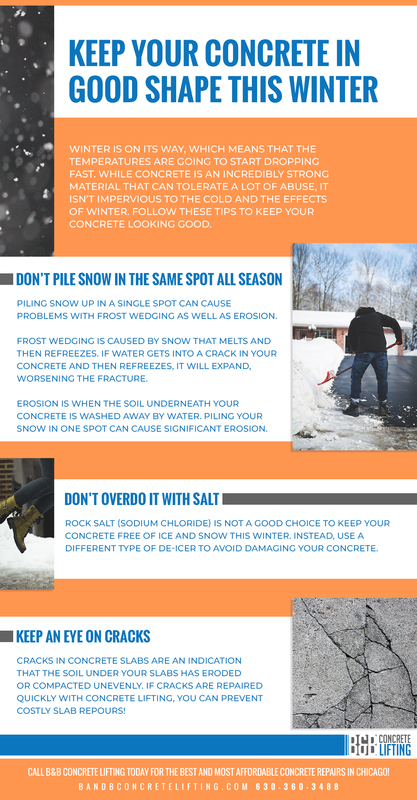 While we understand that winter places a lot of demands on your time, if you take a few minutes every week to check your concrete, it can save you a lot of time and money later on. Our concrete lifting process is far easier, less intrusive, and less expensive than other kinds of driveway or sidewalk replacements. Most of our concrete repairs can be completed in a matter of hours, not days. Contact us today if you have cracks that need to be taken care of before winter sets in!